For our regular readers and followers on various social media, we’ve started a series of giveaways! Our previous giveaway was for October 2018. Here are quick links to our previous giveaways. 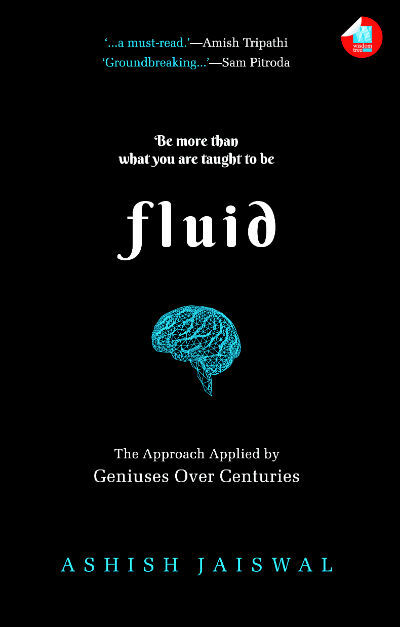 You can stand a chance to win a book named Fluid: The Approach Applied by Geniuses Over Centuries by Ashish Jaiswal. We will share our detailed book reviews for the same later this month. We are making it very simple for the participants. The following are the points you need to follow/remember to take part in this giveaway. The contest will run from November 01, 2018 to November 30, 2018 IST, which is referred below as the “contest period” or “giveaway period” or simply “the period”. The results are expected to be announced by or on 15th December, 2018, but we reserve the rights to change the schedule of the same, if not canceled this giveaway. So are you excited for this giveaway? Well, most of us have something to say about the current education system and some changes we expect in the same. So, why don’t we come forward to share the vision, because it is always the people who bring the revolution. The GiveAway period is over and thus is closed now. Unfortunately, there is no clear winner this month.